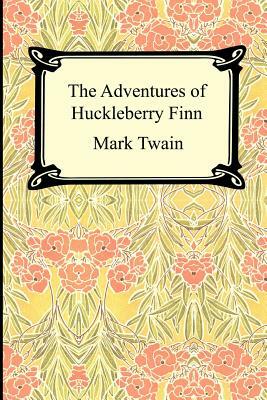 "The Adventures of Huckleberry Finn" is considered by many to be the greatest of all American novels. This sequel to Twain's "The Adventures of Tom Sawyer," is a first person narrative told by its title character. The novel picks up where "The Adventures of Tom Sawyer" leaves off. Huck Finn who is now wealthy with the discovery of treasure at the end of "The Adventures of Tom Sawyer" finds himself in great danger from his abusive drunkard father who wishes to cash in on Huck's fortune. Fearing for his life Huck believes that he must run away from his home with the Widow Douglas and her Sister, Miss Watson. Huck fakes his own death and escapes to Jackson's Island. There he finds Miss Watson's escaped slave, Jim. Together they escape down the Mississippi River on a raft. "The Adventures of Huckleberry Finn" is a story told in the time of slavery with language that embodies the regional dialects that are common to Twain's work and the Mississippi River Valley in which Twain grew up. The novel is as much a biting and satirical commentary on slavery, religion, and civilized society as it is a light-hearted comedy and buddy travel story through Midwestern 19th century America.